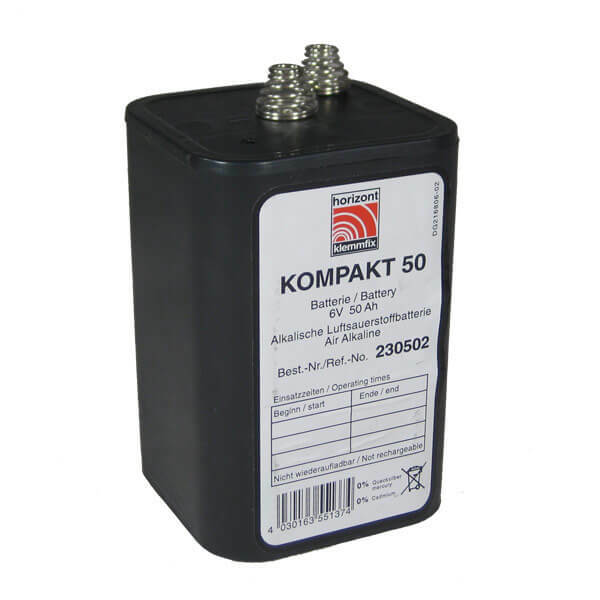 These 9v batteries are suitable for all of our 9v battery energisers. They are dry batteries and as such are not rechargeable. They sit in the casing of the energiser and power the fencer from within. Please be careful when installing them as they have a sticker on the top which MUST be removed before putting the energiser to the fence. This is because they need air to release the charge fully - if this sticker is not removed the battery will not release it's full capacity of charge and will not last as long - although the extra power would be available if the sticker was removed at a later date.